In 2014 Big Ski retired from being a correctional officer and moved to Bend, Oregon. 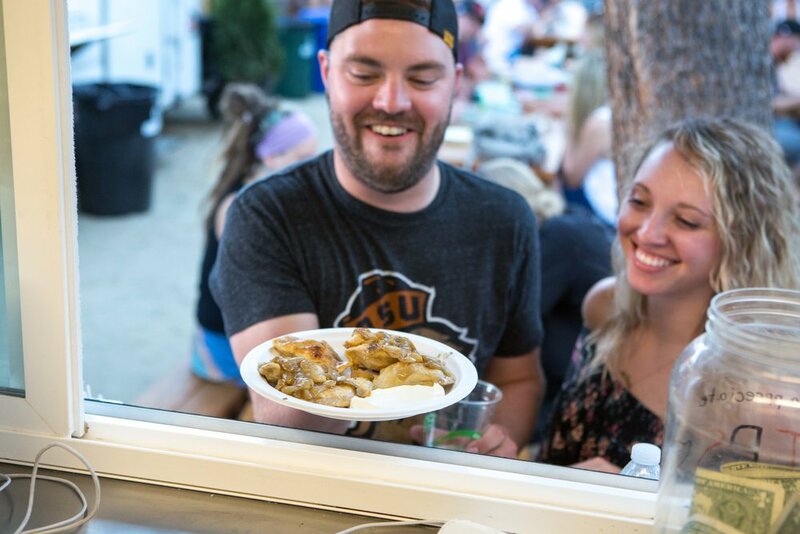 After enjoying the Oregon wilderness for a few months, he decided to start a pierogi food cart….Big Ski Pierogis. The first cart was opened in 2015 and over the years Big Ski has mastered the art of making pierogis and takes pride in his craft. Big Ski found his inspiration for his recipe from his grandmother Janina Winiarski. What is a Pierogi you ask? It’s a dough dumpling stuffed with a filling such as potato or cheese, typically served with onions or sour cream. Big Skis Pierogis menu changes daily so keep stopping by and try our variety!